July 20 was going to be a day off for the crew, both because we needed it and in honor of the 40th Apollo 11 and 33rd Viking 1 landing anniversaries. 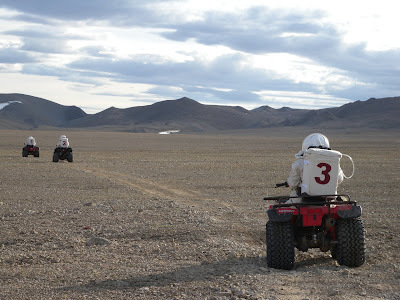 However, we awoke to beautiful weather conditions, and Vernon presented a compelling argument that motivated the crew to embark on a long-distance EVA to Gemini Hills in order to collect gypsum samples. Our 22.6-mile traverse was full of adventure, a wild hare encounter, and healthy dose of getting lost. 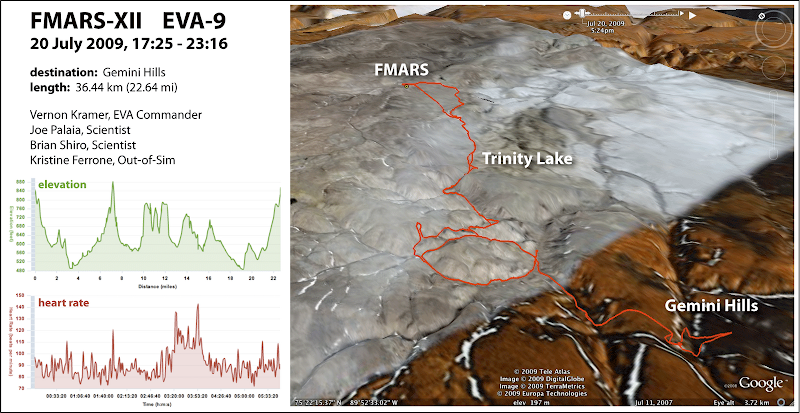 Before I describe the trip to Gemini Hills, I'd like to share my latest FMARS video blog entry #5. 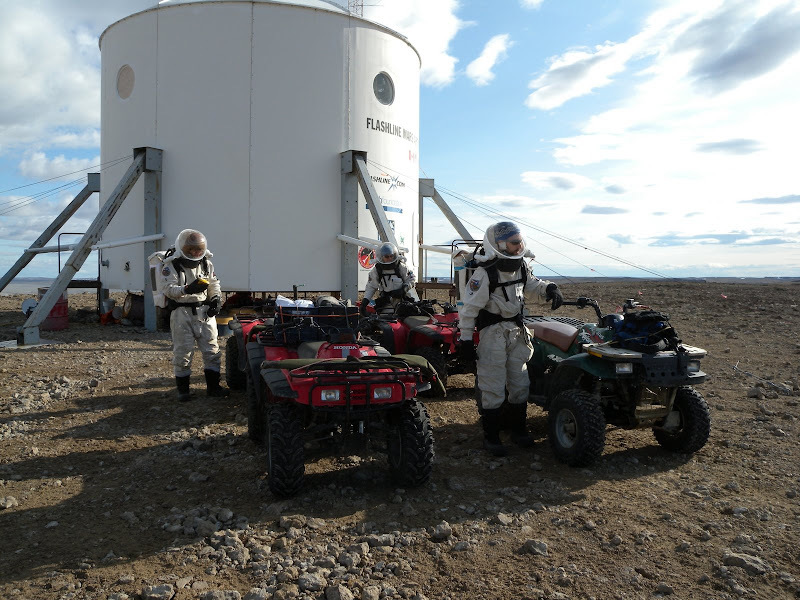 This one is all about our space suits and how we prepare for EVAs. Now that you know how we get ready for an EVA, I'll tell you all about this exciting adventure. Vernon commanded the EVA, as finding gypsum and exploring hydrothermal breccia deposits are his main scientific interests at FMARS. Joe and I assisted him, and Kristine followed as our shotgun-slinging bear protector. Because we'd slept in thinking this would be a day of rest, it was nearly 5:30pm by the time we finally got suited up and out the airlock. It's only 10 km (6 mi) as the crow flies from FMARS to Gemini Hills along the interior western margin of the Haughton Crater. In theory we could have made it to our destination in half an hour on the ATVs. 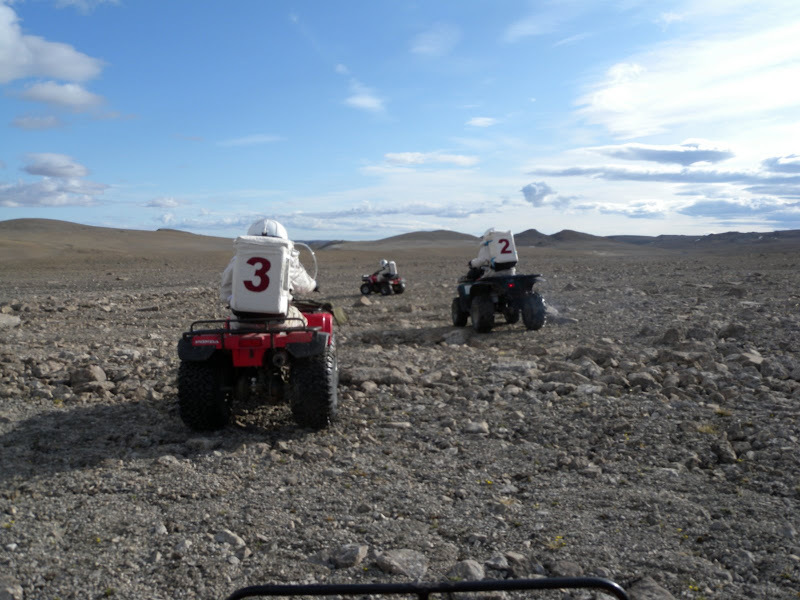 In practice, it took much longer due to the terrain, our frequent stops to explore, and a big loop that took us off course. The image below shows our path for the EVA. If you really want to get a sense of the experience, check out this EVA's Google Earth KMZ file. Our first stops were at Trinity Lake followed by a big erratic boulder. Standing at the top of a hill overlooking the broad expanse of the crater floor, the rock was over 20 feet tall and commanded a beautiful view towards the south. After that, we were driving through a flat area of the crater floor, when we came across a big weather station. 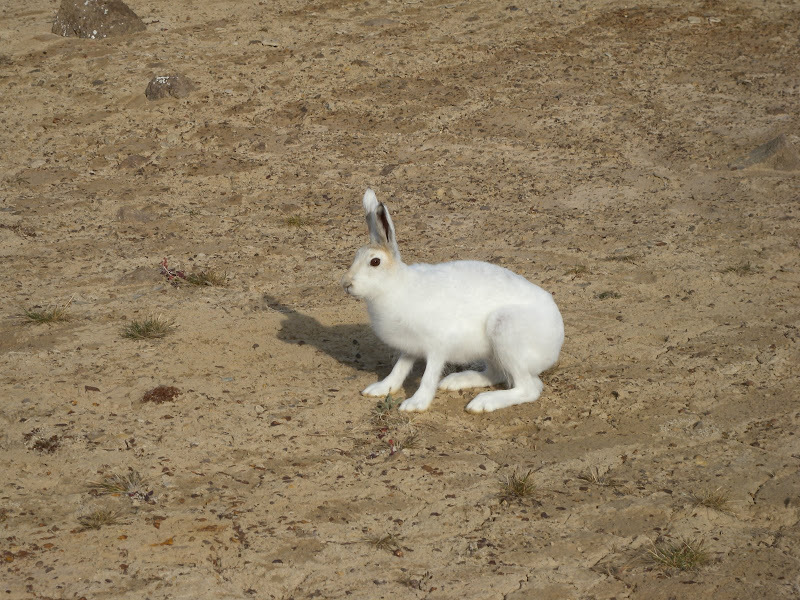 We stopped to look at the out-of-place technology and were surprised to find a big white Arctic hare. When it moved, it looked just like a kangaroo - mainly hopping on its huge hind legs (See video here.). Such a big mammal needs a lot of food, and I wondered what it made its living eating. What would explorers on Mars think if they suddenly found unexpected life? 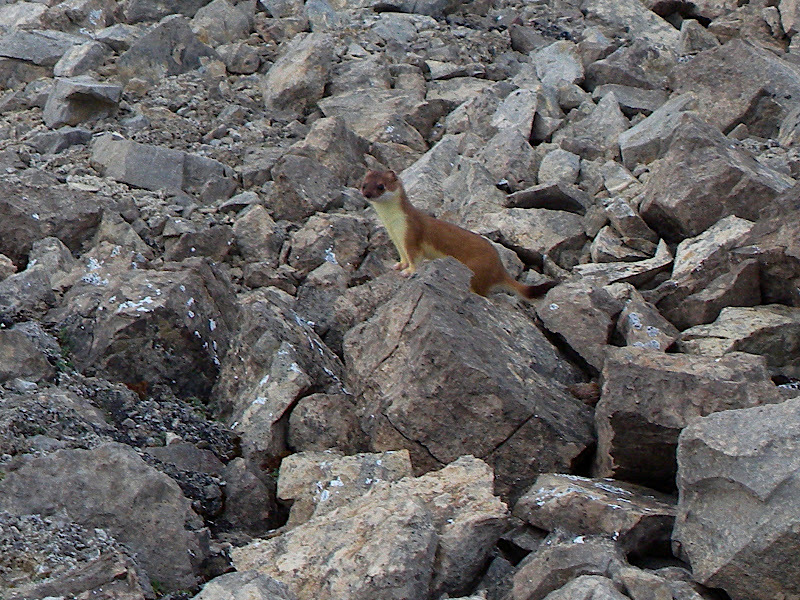 Later in the day, we saw another hare, a gull, and on a subsequent EVA to the same area we even spotted a weasel. We next ventured into some narrow canyons, an area not unlike badlands terrain. After meandering past a few bends, we came to a clearing at Foxi Lake. This place was one of the most picturesque vistas I've seen on the entire expedition. Photos don't do it justice. Of course, Joe had to go drive around the lake at top speed while we all admired it. Just past Foxi Lake was another interesting rock formation that we had to stop and investigate. We climbed to the top and got a few glory poses before moving on in our journey. It was at this point that we must had taken a wrong turn. We went right when we should have gone left and ended up taking a big counterclockwise loop instead of going on the straight trail towards the Gemini Hills. One of the secondary purposes of this EVA was to test how well astronauts could use a GPS data device to navigate. We had a Trimble GeoXM that was just not working well for us. We couldn't see the screen well, and it was never altogether clear where we were in the geographic context of its low resolution display. We had to stop frequently and pull out the paper map to get our bearings. It was a common sight to see Joe and Vernon disagree about which direction to take. At one point, we drove down a narrow steep ridge into a canyon. Joe and I stopped when we realized Vernon and Kristine weren't right behind us. When they did find us, I couldn't start my vehicle because I had parked it at such a steep angle and the gas was all collected on the wrong side of the tank. But we didn't know this at first, so after nearly taking it apart, Joe finally suggested just pushing me down the hill with it in neutral to see what happened. When I got to the bottom, I was on level ground, and it started up right away. We continued on our journey and eventually made it back on track to Gemini Hills. Arriving at Gemini Hills, we were treated with an expansive view of grey breccia created by the impact event and later modified by hydrothermal activity. We drove along a ridge that stuck out like a finger into a wide stream valley on the edge of the hills and spent some time admiring the view. While Joe stayed to take HD video and Kristine stood on bear watch, Vernon and I trekked on foot down the hill, across the small river, and up the other side to look for a gypsum deposit. 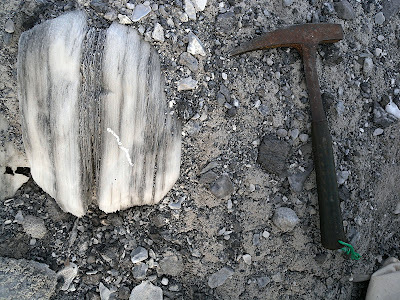 Rock hammers clammering on our belts, we were true geologist astronauts, and it felt great. I didn't even care that my boots kept sinking into the mud on the far hillside beneath the melting snowbank. This photo below of Vernon sitting on the rock taking a rest is one of my favorite from the whole expedition. As soon as we rounded the crest of the hill, we saw nothing but the grayness of the breccia unit in all directions. The gypsum deposit was sticking out prominently about a hundred meters ahead of us. Gypsum is a white mineral made of hydrated calcium sulphate. 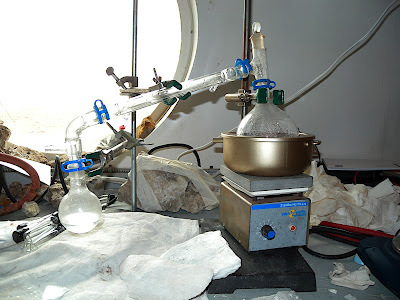 Since gypsum has been detected on Mars, it could potentially be a very useful resource to Mars pioneers. It is about 20% by weight water, which means it gives off water when its heated. Gypsum can be used to make plaster of Paris, drywall, soil fertilizer, and can be a good source of dietary calcium. 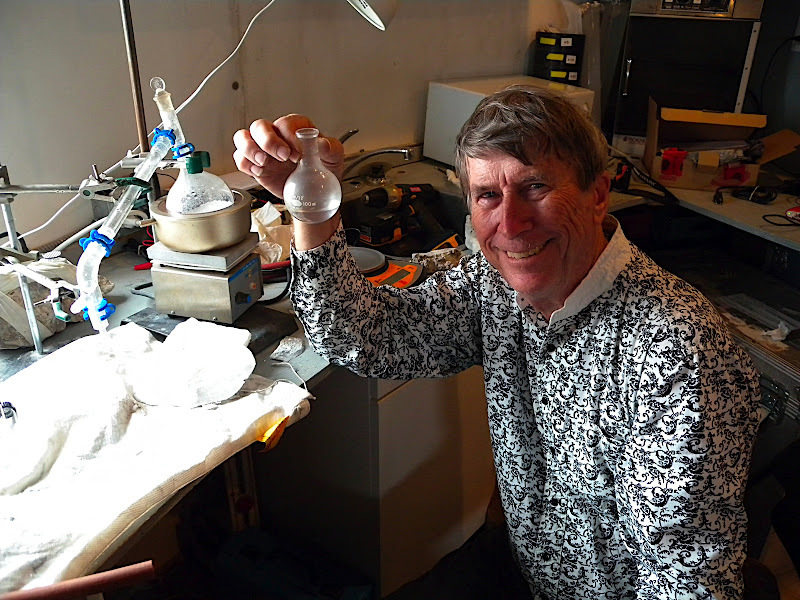 When we returned to the Hab, Vernon set up some glassware to heat crushed samples of gypsum to drive off the water and condense it in a flask. It was very rewarding to go from finding a rock in an outcrop to having pure drinkable water in the span of a day. Vernon even made a small plaster medallion with "MARS 09" inscribed on it from the anhydrous powder that remained after heating the sample. 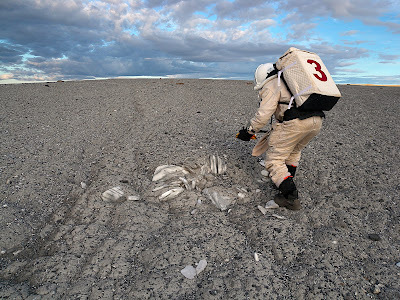 EVA 9 was quite an adventure, made even more poignant given the 40th anniversary of the Apollo 11 landing that day. While others were celebrating one of humanity's most seminal human achievements 40 years hence, we were tromping over an impact crater in space suits learning how to extract an economically useful mineral to support a civilization on Mars. This is why we are here at FMARS. 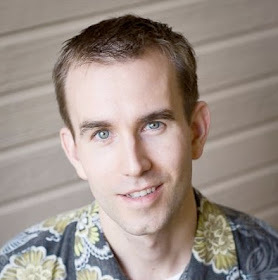 Check out the video I edited of Vernon explaining the water extraction process.